Dr. Richard M. Ebeling has been the BB&T Professor of Ethics and Free Enterprise Leadership at the Citadel in Charleston, South Carolina since 2014. He previously taught at Northwood University in Midland, Michigan (2009-2014), held the Ludwig von Mises Chair in Economics at Hillsdale College in Michigan (1988-2003), and served as the president of the Foundation for Economic Education (2003-2008). He is the author of Austrian Economics and Public Policy (2016), Monetary Central Planning and the State (2015), Political Economy, Public Policy and Monetary Economics: Ludwig von Mises and the Austrian Tradition (2010), and Austrian Economics and the Political Economy of Freedom (2003). He is also the editor of the three-volume, Selected Writings of Ludwig von Mises, published by Liberty Fund, which are based on Mises’s “lost papers” that Dr. Ebeling and his wife, Anna, retrieved from a formerly secret KGB archive in Moscow, Russia in the 1990s. He also writes a weekly column on economic and public policy issues that appears every Monday on the website of the Future of Freedom Foundation (ff.org). Lara-Murphy Report: How did you become interested in Austrian economics? me to the writings of Ayn Rand. I started with her nonfiction writings and then went on to read her famous novels – The Fountainhead and Atlas Shrugged. Her case for individual freedom and the right for the individual to live peacefully and honestly for himself were very appealing to me. But there were all the practical questions that people would raise about how markets functioned and about “social problems” concerning the poor, etc. So I began following up on some of the footnote references in her nonfiction collections of essays, The Virtue of Selfishness and, especially, Capitalism: the Unknown Ideal. This was how I first discovered the writings of Ludwig von Mises, Henry Hazlitt and a variety of other members of the Austrian School. Around the same time I came into contact with the Foundation for Economic Education (FEE), and began reading their monthly magazine, The Freeman. One of FEE’s staff members, Bettina Bien Greaves, kindly answered questions that I sent through the mail – for younger readers, yes, there was a time when you would write a letter (often by hand), put it in an envelope, place a stamp on it, drop it in a mailbox, and wait days or maybe even weeks for the letter to get to the recipient and for them to reply to you. She shared with me a lot of literature that I was not really aware of, and that led me to read other “Austrians” like Friedrich A. Hayek, Israel Kirzner, and Murray Rothbard. The result was that by the time I entered college I knew I wanted to major in economics but experienced a real shock and surprise when I found that all my economics professors were Keynesians, socialists, or even Stalinist Marxists! Since I had neither professors nor fellow students who were knowledgeable about or sympathetic to the Austrian School, or free market ideas in general, I basically learned Austrian Economics on my own by spending a lot of time in the university library. I had the good fortune in 1972 to meet Floyd “Baldy” Harper, the founder of the Institute for Humane Studies, and some other people working with IHS. The upshot was that I was invited to attend the first organized Austrian Economics conference in June 1974 in South Royalton, Vermont. It was there that I had the opportunity to meet, “in the flesh,” Israel Kirzner, Murray Rothbard, and Ludwig M. Lachmann (another notable “Austrian” who had studied with Hayek in the 1930s at the London School of Economics). Plus, there were about 40 young, mostly graduate students from around the United States who also had discovered the Austrian tradition. Then during the summers of 1975 and 1977, I was offered summer fellowships at the Institute for Humane Studies, when they were at that time headquartered in Menlo Park, California. For a good part of those two summers Friedrich Hayek was there as a senior fellow, and it gave me what I consider one of the greatest intellectual opportunities I’ve ever had, since I was able to have lengthy conversations with him several times a week. These were the stepping-stones to my becoming an “Austrian” economist. 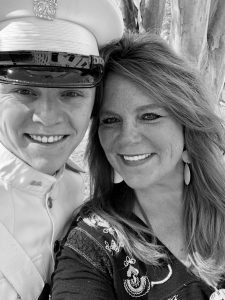 LMR: You’ve taught at more conventional liberal arts colleges, and now are at The Citadel. Do you have any observations on the different environments? For example, do you teach the same way or do you have different style/content now, compared to other teaching positions? RE: To be honest, I have been very privileged to teach at institutions of higher learning that have all been sympathetic to the ideas and ideals of a free society and the market economy, especially Hillsdale College and Northwood University. I taught briefly for a year as a visiting professor at a college in Connecticut that had some economists on the faculty who were strongly market-oriented, but for the others, say, in the history or political science or sociology departments, they made the college a “poster-boy” for leftist politics and political correctness. It was like interacting with people from a different planet whose “logic” was different from normal human beings. The Citadel, where I’ve been teaching since 2014, has a tradition of military training and structure. But it is actually a normal four-year college (that also has a graduate program) that is scholastically rated very highly. U.S. News and World Report has ranked it number one for the last six years for colleges in the South. And its engineering school is ranked among the top ten in the nation. Contrary to many people’s impressions of the school, only about 20 percent or so of the graduating seniors go into the military. 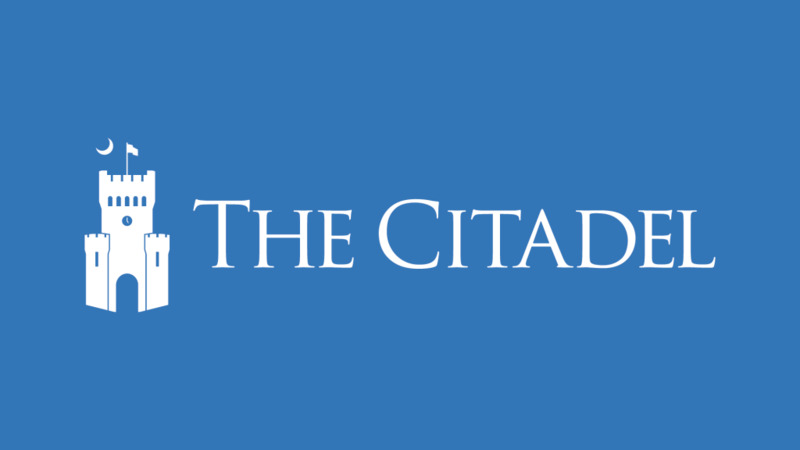 The large majority leaves the Citadel and pursues private sector professional careers or go on to graduate school. 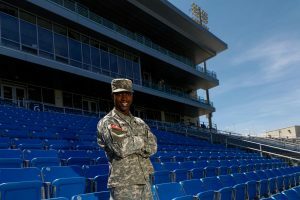 The military culture of the Citadel emphasizes honesty, integrity, and character. 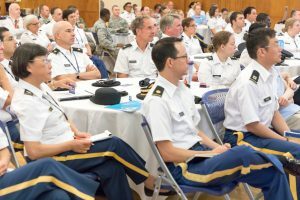 Its motto is: “Duty, Honor, and Respect.” Many young men and women come to the Citadel for the structure and discipline that are not present at other universities or colleges, so they can keep their “heads on straight” with their studies. Also contrary to a possible impression, most of the students are not “gung-ho” on foreign military intervention. Many of the students studying in the School of Business, where I teach, or in the political science department tend to be politically conservative or libertarian in their policy views. Most have an interest in deepening their understanding and appreciation for how the free, competitive economy works in comparison to socialism or the interventionist-welfare state. As part of this, my students regularly read Mises, Hayek, Hazlitt, and Frederic Bastiat, among others. So it is a very pleasant intellectual environment, especially when I add that my economist colleagues in the School of Business are all classical liberal/libertarians. LMR: One of the major changes in the Trump era is the weakening of the standard “conservative Republican” support for free trade. What’s your take on this development? Is this actually a conversion or were we naïve to think the rank and file of the GOP ever bought into the classical views of Adam Smith and Frederic Bastiat? RE: That’s an interesting question. Traditionally, that is before the 1930s and 1940s, the Republican Party was the American political party of economic protectionism and the Democrat Party was generally free trade. But in the post- World War II period, the roles were somewhat reversed, with the Republican Party and conservatives in general advocating the case for greater freedom of trade and the Democrats often more concerned with “protecting American jobs” from foreign competition. But, in truth, neither major American political party has been unreservedly “free trade” as a matter of principle. Whether Republicans or Democrats have been in political power, they have always used trade negotiations and domestic policy to benefit different groups of special interests at the expense of American consumers, and various domestic and foreign producers. All that President Trump has done, in my opinion, is to raise to a general policy goal what both Republicans and Democrats have been doing on a piecemeal pragmatic basis for decades. What is different is that Trump proudly calls for trade protectionism with bluster, arrogance, and in-your-face rudeness. He pompously declares that he knows where American private businessmen should invest and open factories; he knows which workers should be hired to do what types of work; and he knows what goods should be available to the American consuming public and sold to them at what prices. He encapsulates another instance of what Friedrich Hayek called, “the pretense of knowledge,” that is, the hubris of the social engineer who knows how society should be organized and arranged better than the outcomes that would result if individuals were left free as consumers and producers to make their own best decisions in an open and competitive market economy. Keep in mind that when President Trump speaks of lowering taxes or deregulating business, he does not argue for these things as a matter of principle so people might be left free to direct their own activities in a general environment of liberty. No, he presumes to know how to use the tax code and the regulatory process to manipulate investment and job creation to “Make America Great Again,” as he defines greatness. LMR: Much of your work involves entrepreneurship. This is an area where the Austrian School shines. Can you explain why? “Production” does not just happen. There must be a human mind that imagines a good or service that might be manufactured and offered on the market to interested consumers. That human mind must conceive of ways of organizing the production process, employing the useful and useable factors of production (land, labor and capital), directing them through a time-consuming production process until finally the finished product can be offered to the buying public for sale at some point in the future. But the future is uncertain. Who knows whether, in fact, at that point in the future when the product is finally presented to consumers if they will be interested and willing to purchase it, and at an anticipated price that would cover the expenditures that guiding mind had incurred to bring the production process to completion? That “imagining” and “guiding” mind is the entrepreneur in the market system of division of labor. Any profits may be his, if his expectations are correct, but so may be any losses suffered if his anticipations of that future turn out to be faulty. was said about the entrepreneur in the assigned textbooks or in the classroom lectures. The “mainstream” of the economics profession had built up a refined, even conceptually elegant, model of a market world of “perfect competition” in which market participants on both the demand- and supply-side were presumed to have “perfect knowledge” of all relevant market circumstances and conditions. Well, if you assume that everyone in the market already knows everything there is to know, now and in the future, that might be of importance to any of their consumption or production decisions, then you preclude any uncertainty about what consumers may want in the future, how best to employ the factors of production and direct production processes over time, and worrying about suffering a loss or earning a profit, because mistakes can never and will never be made, and opportunities to earn profits will, from the start, have been competed away. In other words, for the most part the mainstream of the economics profession analyzes how markets work with a “model” of the market that does away with any role and place for the enterprising entrepreneur as the Austrians conceive of him. Thus, not too surprisingly, much (but not all) of mainstream economic theory has been constructed with assumptions that preclude any understanding and appreciation of what business enterprisers really do or why what they do is important for markets to successful work. Equally not too surprisingly, this leads many economists to see supposed “market failures” and production or competitive “inefficiencies” that they believe needs fixing through government regulation and bureaucratic controls. LMR: In light of recent events, it seems the 20th century battle between socialism and fascism is more relevant to American politics than many of us realized, with at least the most extreme members of particular movements literally embracing these terms. What did Ludwig von Mises do when he found himself—a Jewish classical liberal—in the midst of such chaos? RE: Before the First World War, the old Austro-Hungarian Empire, in which Ludwig von Mises was born in 1881 and lived, was generally (classical) liberal and market-based. It certainly was not a libertarian utopia by any means, but compared to neighboring Imperial Germany and the Russian Empire, Austria-Hungary under Emperor Franz-Joseph was far more open and tolerant of ethnic and religious minority groups, including Jews. For instance, in Imperial Germany, Jews could not serve as officers in the Germany Army; in Austria-Hungary they could, and Mises served in the Austrian reserve army and eventually rose to the rank of captain during World War I, and indeed was three times decorated for bravery under fire fighting the Russian Army on the Eastern Front. But, nonetheless, anti-Semitism was an underlying cultural and political attitude in the wider society in both Germany and Austria-Hungary. Mises, for instance, believed that he never received a position as a professor at the University of Vienna before or after the First World War, for which he was certainly qualified, due to his Jewish family background, as well as due to his staunchly laissez-faire, classical liberal views on social and economic policy issues at a time when socialist and nationalist ideas were on the rise. Mises was not a religious Jew. Like many Jews in the Austria and the Germany of that time Mises was secular and cosmopolitan in his social and cultural outlook. But since others in German and Austrian society did classify and brand people based on their Jewish ancestry, Mises could not escape the anti-Semitism that was growing in Germany and Austria in the post-World War I era, and which culminated in the rise of Adolph Hitler and the Nazis to power in 1933. It led Mises to do what he could to assist his former students, some of whom were Jewish, to find ways of leaving Austria after 1933. For instance, Mises arranged for his former student assistant, the later noted Austrian economist, Fritz Machlup, to obtain a Rockefeller Foundation traveling scholarship to go to the United States in 1933; Mises told Machlup not to return to Austria, if he could get a teaching position in America, which Machlup finally was able to obtain. I knew Fritz Machlup at New York University in the 1970s, and he told me that as far as he was concerned Mises had saved his life from likely being arrested, imprisoned, and killed at the hands of the Nazis following the German annexation of Austria in March 1938, if he had stayed in Vienna. Mises, himself, was offered his first full-time teaching position at the Graduate Institute of International Studies in Geneva, Switzerland in the autumn of 1934. He remained there, safe from his own likely arrest by the Nazis if he had remained in Vienna after 1938. He immigrated to the United States in the summer of 1940 (after a harrowing escape partly through German-occupied France), where he lived in New York City until the end of his life in 1973 at the age of 92. As a social philosopher and an economist, Mises considered socialism and fascism simply to be two competing variations on the same collectivist theme. For the Soviet socialists, the individual was reduced to being nothing more than a member of a “social class,” of either the exploiting capitalists or the oppressed workers. For the Italian fascists, the individual was a cog in the wheel of the nation-state; it was Mussolini who coined the term, “totalitarianism”: nothing outside the state, nothing above state, everything for the State. And for the German National Socialists (the Nazis) the individual was reduced to a biological tribe of “superior” or “inferior” races, with the Germans at the top and the Jews at the bottom. As economic systems, both Soviet socialism and Italian and German fascism and National Socialism were impossible and unworkable systems of governmental central planning. The only difference being that the Soviets had nationalized all the means of production and placed everything under direct the control of a central planning agency; while the fascists and the Nazis often left private businesses nominally in the hands of their owners, but set up central planning agencies under which the government planners directed businessmen concerning what they could produce, how to produce it, and at what price they might sell that output and to whom, as well as fixing wages and work conditions for all those employed in all enterprises. Mises was amazingly prescient in his understanding of where political and economic trends were leading in the interwar period. For instance, in the mid-1920s, Mises explained that the nationalist anti-Marxists in Germany were not anti-socialist; rather they were “national socialists” who criticized Marxists for not being the “right kind” of socialists. And he anticipated the trend of events that would lead Hitler to power, when in 1926 Mises pointed out that a growing number of Germans were “setting their hopes on the coming of the ‘strong man’ – the tyrant who will think for them and care for them.” Seven years later, in 1933, Hitler became the dictatorial “Fuhrer” (“Leader”) of the German people. And there is one other amazing insight that Mises demonstrated at this time. In 1925, he said that if the “national socialists” came to power in Germany they most likely would follow a course of action that would lead to another world war. But to whom could Germany turn as a possible ally in a war against all the other countries of Europe? Mises concluded: the Soviet Union. Said Mises: “Since Bolshevist Russia, like Czarist Russia, only knows force in dealing with other nations, it is already seeking the friendship of German nationalism. German Anti-Marxism and Russian Super-Marxism are not too far apart.” Thus, Mises basically anticipated the infamous Nazi-Soviet Pact of August 1939 that set the stage for the start of the Second World War in Europe with the German invasion of Poland, and the division of Eastern Europe between Hitler and Stalin that soon followed. It is always treacherous to claim to know what someone long since passed away would think about the political and economic trends of today. But I do not think that it is too much of an exaggeration to think that Ludwig von Mises would consider the radical and fanatical extremist groups on both the political “left” and “right” that have recently arisen in the United States are the almost inescapable results of the current counter-revolution against individualism, free markets, and limited government that is reflected in everything that goes on in the modern interventionist-welfare state. Markets harmonize and coordinate the diverse and differing ends and goals of multitudes of people through the peaceful and competitive exchange processes of the marketplace. Political intervention divides individuals into groups pandering and demanding favors, privileges and various other forms of plunder through the regulatory and redistributive power of the State at everyone else’s expense. Just as volatile ingredients in many of the European interventionist states of the period between the two World Wars were racially charged nationalism and radical socialist class warfare, so today American progressive “identity politics” and a resurgent sympathy for amorphous forms of socialism are adding dangerous layers to the collectivist currents of our own time, along with the fringe racial nationalists who have the more focused attention of the mainstream media. Mises emphasized throughout his life that a prosperous and free society can only arise and be maintained, in the long run, on the basis of political individualism and economic liberalism, that is, truly free market capitalism. We have seen over the last one hundred years where the roads to various collectivisms lead – tyranny, death, destruction and stagnation. We need to do all in our power to see that this history does not repeat itself here in America.